Dubai: In Dubai, the chances are that you will come across a property being offered at a rent lower than what you are paying. And you won’t need to shift quite a distance to make use of the offer. Chances are there is a brand-new building within the neighbourhood offering a lower rent and more options with state-of-the art gym equipment and a swimming pool that looks the part. Nor do you need to downsize into a smaller apartment to make all this happen. For the first time in four years, Dubai’s tenants are starting to believe they do have an opportunity to reduce their rent burden. More so, as landlords are willing to meet them halfway. They need to as more of Dubai’s emerging locations see new apartment buildings getting completed. Dubai South, for instance, is all set to open the doors wide with as many as 800 units likely to be delivered by private developers by year-end or early 2018. They form part of about 2,000 units that are to be readied in phases over the next two to three years. 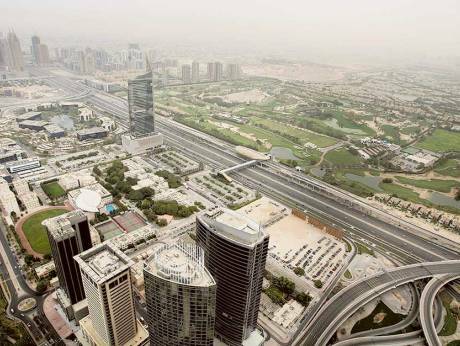 There is also the developer Nshama going about with the handovers at its Town Square community down Mohammad Bin Zayed Road. Chances are that at both these locations a sizeable portion of the new homes will be placed in the rental market. And they can have a telling impact on what landlords elsewhere in the city are able to charge on their existing properties. Plus, the rental dynamic will also need to start factoring in what Dubai’s master-developers can do. Nakheel is fast-tracking the creation of residential-focused communities where the properties will be leased by it. For instance, there is one under development at Nad Al Sheba, which will feature 1,572 high-end villas, all for rental purposes. The project is due for delivery next year. Over the next five years, Nakheel intends to double its leased home portfolio to 36,000 units over a five-year period. Damac Properties in its latest third-quarter financials confirmed that its move into the leasing space — at its Dubailand development — has got off to a good start. When Dubai’s leading developers push hard into leasing, the ripple effect will be felt for a long time. Already, there is quite a disconnect between what the Rera (Real Estate Regulatory Authority) Rental Index lists for a particular community and what landlords are actually asking. “For example, a two-bed in Downtown is between Dh140,000-Dh180,000 in the Index, although the current asking prices on property portals start from Dh120,000 for two-beds,” said an estate agent. “It’s the same now for Dubai Marina, where the Index indicates Dh120,000-Dh160,000 while the actual asking prices are Dh90,000 onwards. According to Core Savills’ Q3-17 Dubai market update, the final three months should add another 5,000 units and take the full-year delivered tally to about 17,800 units, and “largely in the mid-market segment”. Now, that’s the most telling point. So, those tenants who feel they cannot put up with their current landlords’ demands any longer should be out there scouting for lower rental options. Because a significant portion of recent deliveries are going to end up in the rental space. Unlike in the past, landlords see there is no wisdom in keeping a unit vacant until they get their demands. Because next year and 2019 will see much more than 15,000 plus units getting delivered. “Rent decline has been significantly varied in Dubai and across freehold areas,” said David Godchaux, CEO of Core Savills. “The lowest year-on-year drop have been about 2 per cent while the highest has been 10 per cent. “But locations such as Bur Dubai, Karama, Mirdif and Al Ghusais remain fairly inelastic due to the lower tenant movements and captive demand, although we’re also seeing a mild softening.